GOOD MORNING my sweet friends & welcome to day 2 of our sneaky peeks from the 42nd Edition Release! 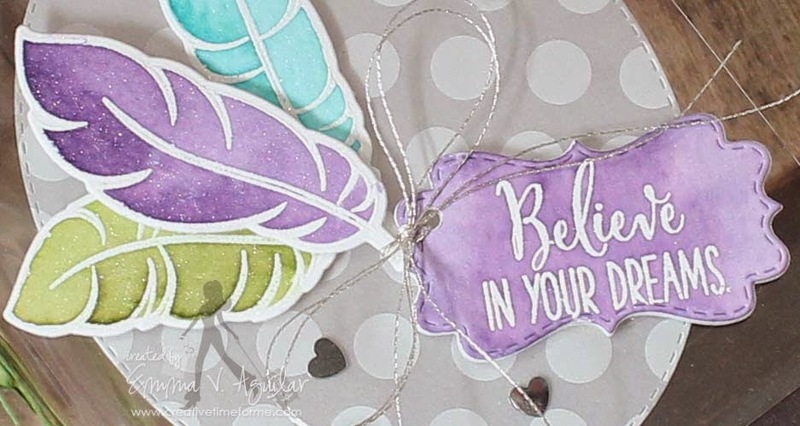 Today we are showcasing, probably one of my MOST REQUESTED sets called "Believe in Your Dreams!" This is a stamp AND die set which includes 16 stamps & 7 coordinating dies. 2 of the feathers measure 2 1/2 inches tall & the 3rd one measures 2 3/4 inches tall. This is such an AWESOME set that I see myself using this OFTEN! CONGRATS Miss Katie~! I will email you momentarily to get your information! Yes! Yes! Yes! How darn exciting am I for this set? So very excited! I'm in love already and I haven't even seen all of it! Love how they look with your water coloring too Emma! Fantastic! Eeee! 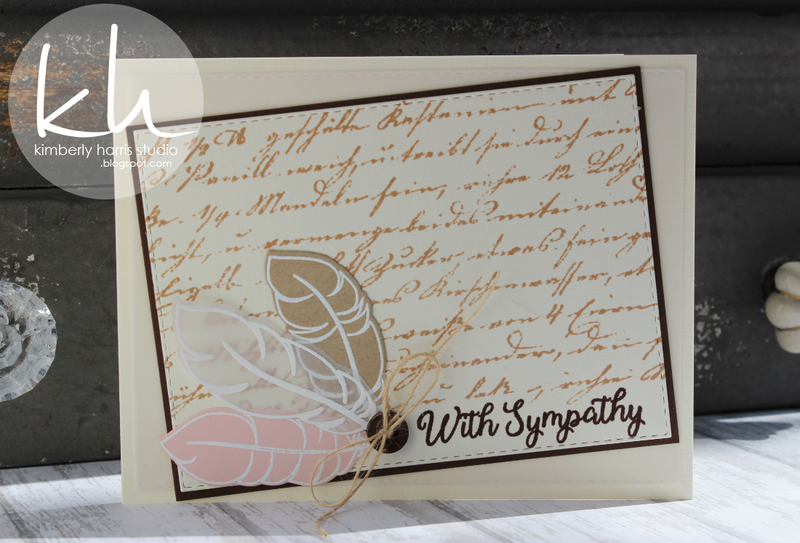 OH Emma... lovely card, I always have loved the look of vellum. Your clear card is just so pretty and I really love those feathers!! I think they will be a very good thing for MCT! Beautiful card! 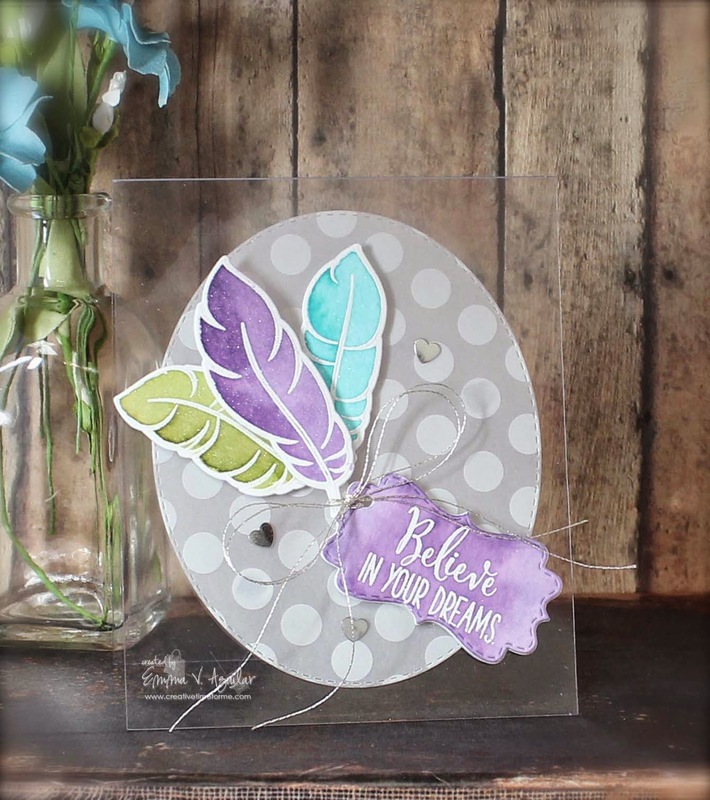 Love the feathers, color combination, circular dot background, clear "paper" card base....all of the card is so neat! Good Morning MissEmma!! WOW what a super fun Sneak Peek....love your card definitely awesome, clever and creative ways to use your new goodies....and what a gorgeous card love your acetate idea very unique definitely make a fabulous presentation for your card. Love the color of your wate coloring so pretty!! Love all the cool ways you've used your goodies. YOU so ROCK!! Emma what a beautiful card!! Thanks for all your inspiration!! I love these feathers. I love that you educate us on the different uses for your dies and different materials used to make your projects. Thank you. Love your sweet card! The color combo is awesome as well. I don't often think to make clear cards but this one is so inspiring, I may have to try one today! your card looks so elegant and beautiful! and the new feathers are so beautiful, I want it! So pretty! Love the clear card concept and love the colors you used! Your card is gorgeous, Emma! Love the soft color of those feathers! Love today's sneak peek! 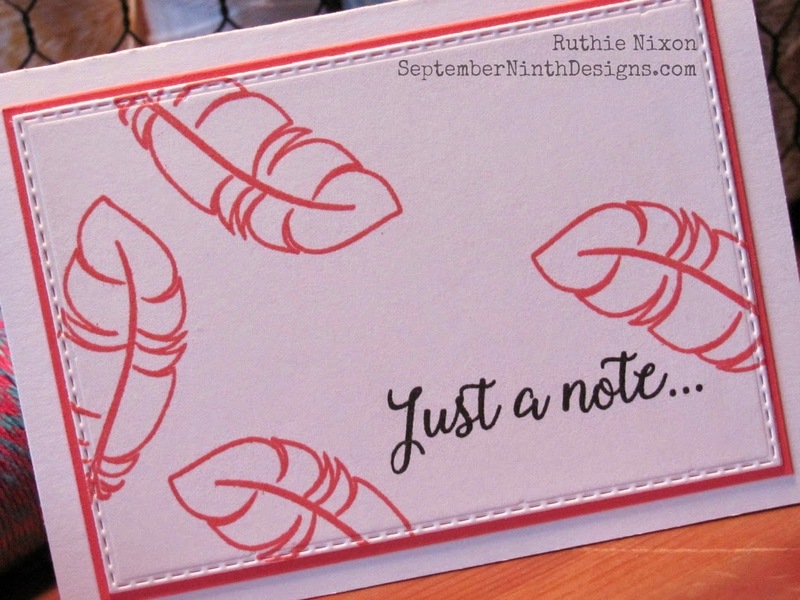 Feathers seem to be a growing trend right now, and I like the sentiments, too. Your card is so fun and colorful. Feather fabulous, Emma....you're right that this will be a 'reach for often' set! Trendy, pretty and ever so versatile. Your card: stunning! Love that feather! So different from the others out there. A must have! Thanks Emma!!!! 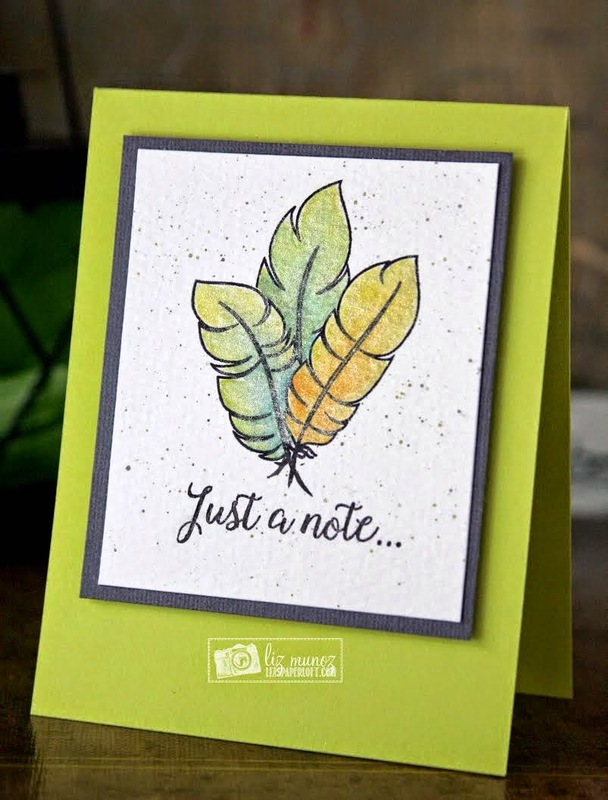 Love the colors you used for the feathers. This set is sure to sell out fast! Wow, that is a gorgeous card Emma! Awesome card sample! Great Dt work as well. Very pretty Ms. Emma! Love your feathers! Your card is beautiful. LoVe your feathers. Thanks for sharing. 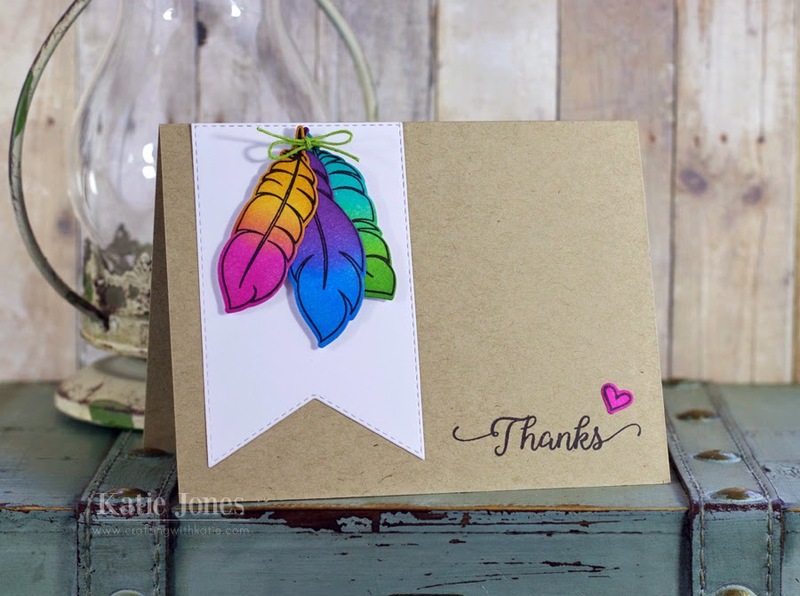 LOVE these feather dies and stamps. Including the ink bottle stamp & die is so perfect! I had to make a congrats card once for someone who became a judge, and this set would have been perfect for that. I would definitely have used that little ink bottle with a feather (pen). I love when you make the clear cards! The feathers and watercolor are so pretty! WOW! 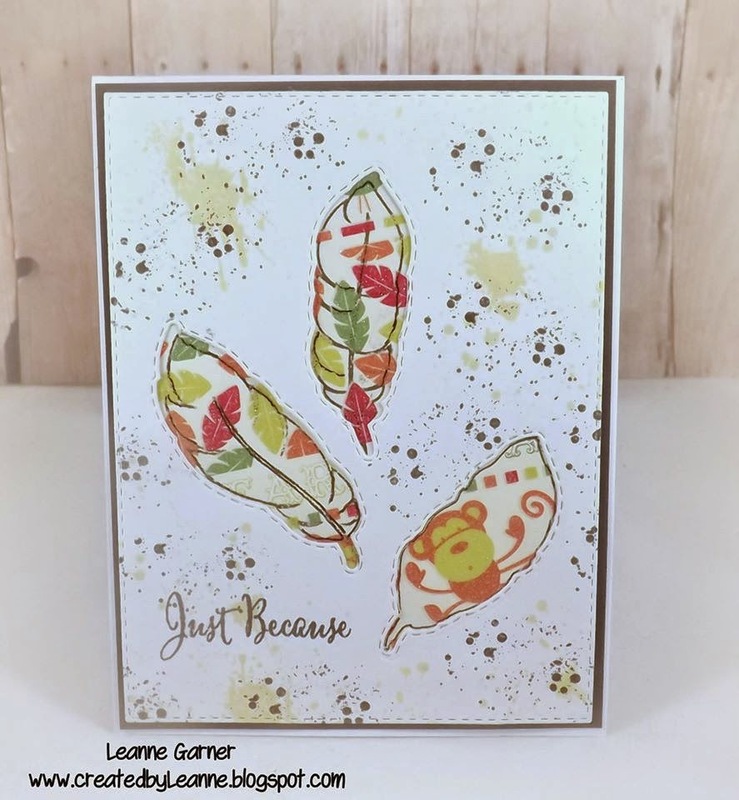 Your card is stunning, love the new feather dies. Nice feather design, like it. Your card is BEAUTIFUL!!! 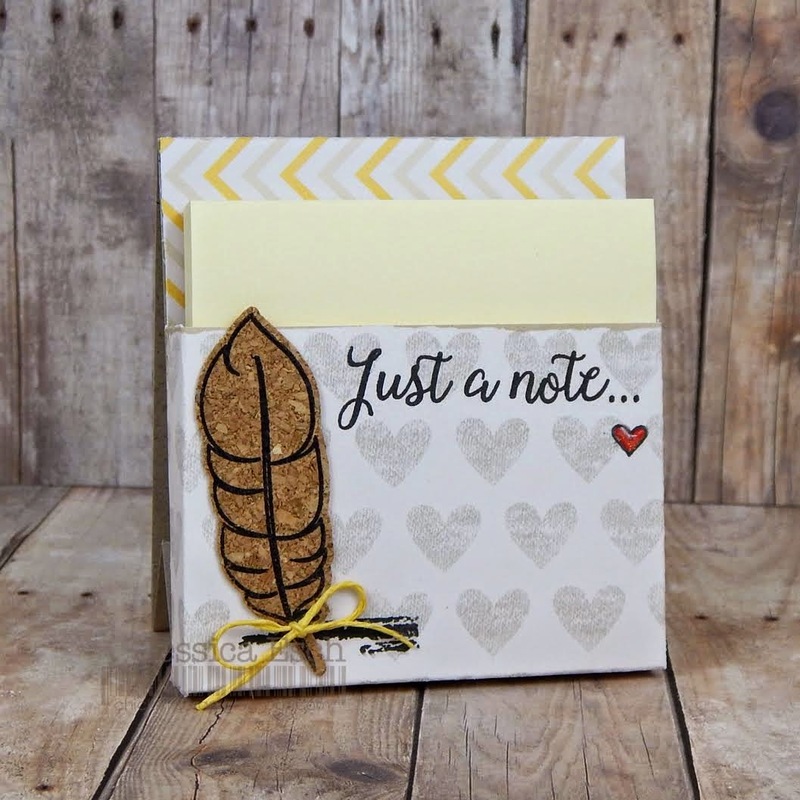 Adore the feather dies! Love the colors on the feathers. Very pretty. thanks for having the hop. this is a great stamp set. Love the pastel colors for the feathers. Beautiful!!! I love your clear card! I love your card Emma, super cute with the clear acetate. I like the feathers and the colors are awesome. Emma ~ your card is GORGEOUS and STUNNING all wrapped up into one! 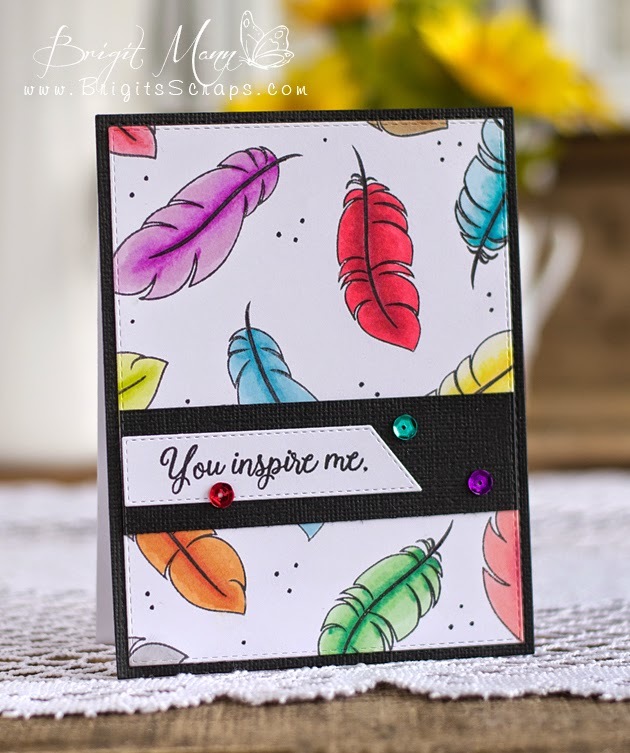 LOVE those feathers white embossed and then the colors you chose for them! Then the polka dot paper on acetate ~ EEK! BEAUTIFULLY done! Again this team ~ YOU ROCK LADIES! Your card is gorgeous! That color combination is so pretty! Your feathers look pretty in watercolor and with that clear base, Miss Emma. Your Feather Card Is Beautiful! Love Your Color Combination!! 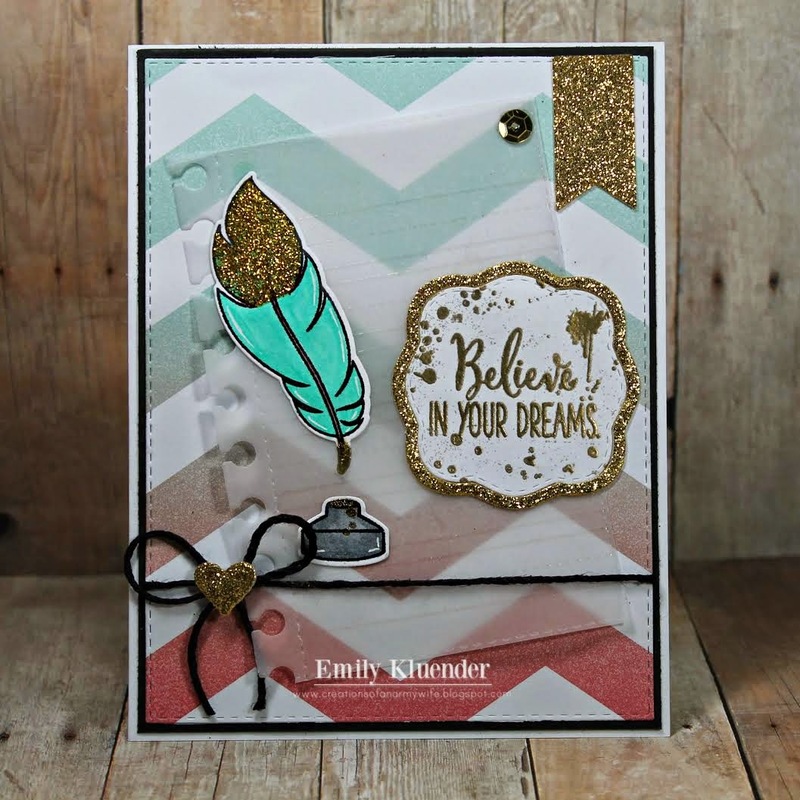 Those feathers are gorgeous Emma, love the card and all the designer's projects. Very pretty colors of feathers on this clear card. Very nice cards that everyone has done! Love this beautiful color combo on your gorgeous card! Your card is so unusual with the clear card. So beautiful with the vellum and soft feathers. I am glad there are 3 different feathers so groupings are not just a repeat of the same. It must have been an extra worry to have to destitch the feathers...I think to have stitching on the outside was a good choice. The dies are beautiful. Such pretty colors on your feathers. All of the projects had different colors and ways of coloring the feathers...even paper piecing. How fun it will be to create with these dies. The sentiment have such a beautiful font and I can't wait to see what they all say. Great job everyone!